If you have a truck, one thing that needs considering is how you are going to cover the truck bed. There are different types of truck bed covers such as tonneau and truck bed shells. Before choosing one, looking at the advantages that the tonneau has over the truck bed shells is very important. 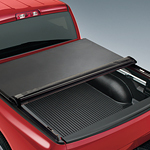 One major advantage of the tonneau over the truck bed is that they are believed to have no detrimental effect on the fuel mileage of the vehicle. The roll up and fold up types can be locked as well. The truck bed shell types would have to be removed in order to place an item that does not fit into the truck bed. It can also cause a reduction of fuel mileage if it is higher than the cab because of wind resistance. We at Caspian Auto Motors have many trucks to choose from. Shop with us and find the right one for your commute.